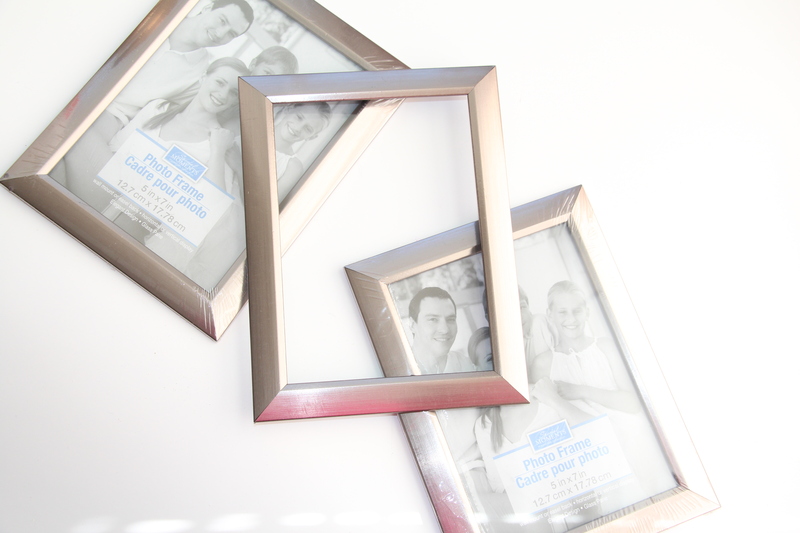 To prepare for the menus and signs, I went to the Dollar Store and picked up some 5×7 frames. Not all of them were the same but it didn’t matter since I would be spray painting over them. I used my handy dandy gold spray paint, which I fell in love with from this project. 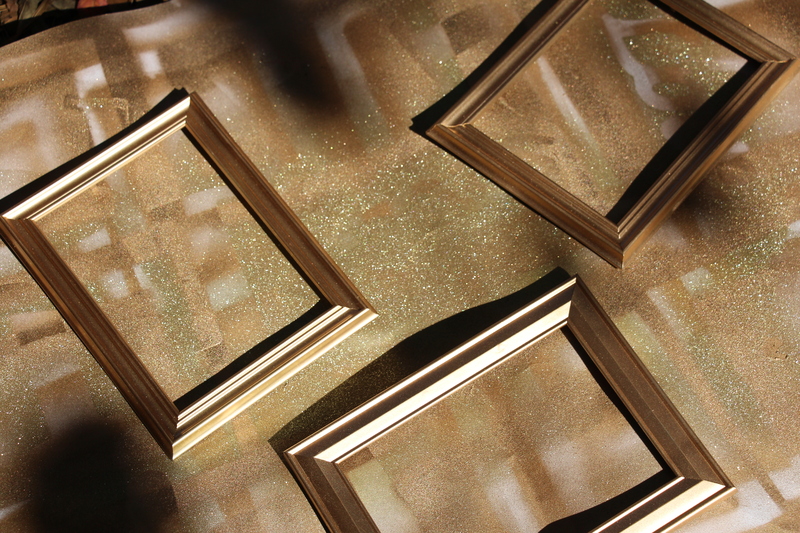 2) Spray paint them gold…or whatever color your scheme is. 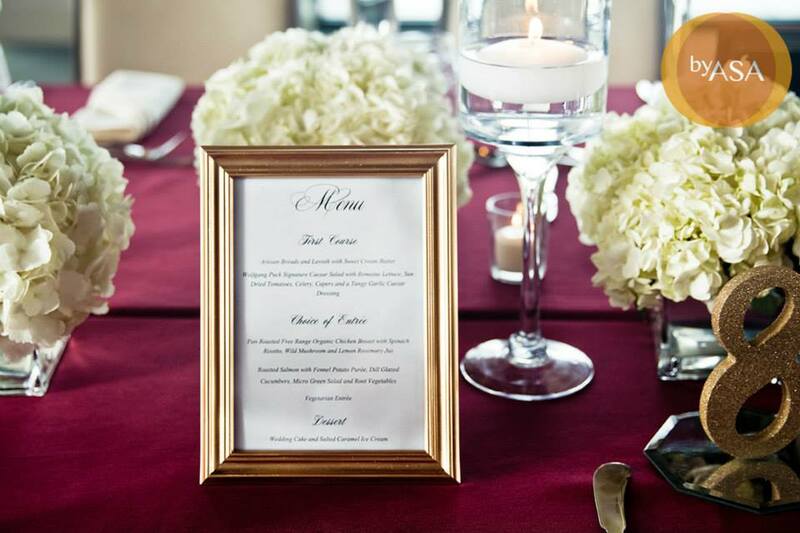 3) For the actual menu, we just printed it out on regular copy paper and cut them down to 5×7 size. We made about 16 frames (we only had 12 tables but 4 of them were long rectangular ones).